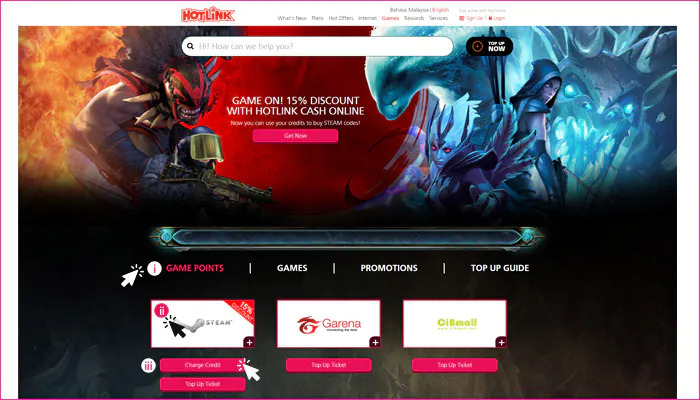 Hotlink has introduced a new offer that allows subscribers to buy Steam Wallet codes using their phone credit. This will operate in addition to the existing offer of converting Hotlink top up tickets into Steam Wallet codes. 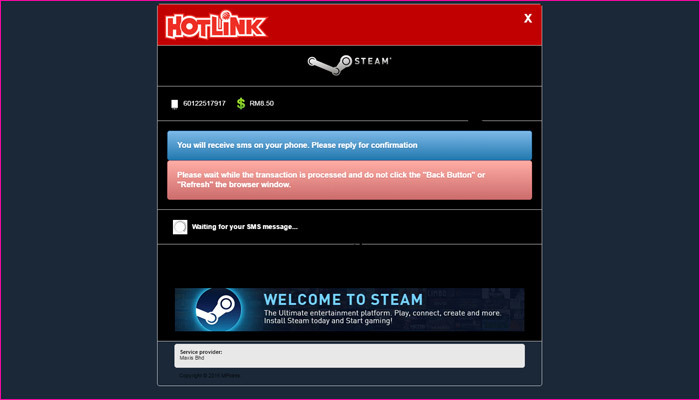 All a Hotlink user needs to do is visit the Hotlink site and select the option to buy Steam Wallet codes using credit. They will then select the preferred amount and enter their mobile number to make the purchase. Hotlink will first send a confirmation SMS before the purchase is completed, allowing users to back out at the last minute. Note: The price of the Steam Wallet code is on the right in pink. As a bonus, Hotlink is offering a 15-percent discount on the first purchase of each denomination of Steam Wallet code for each user. Codes are sold in amounts of RM8, RM16, RM24, RM48, and RM80 denominations; although they receive an additional surcharge from the vendor. 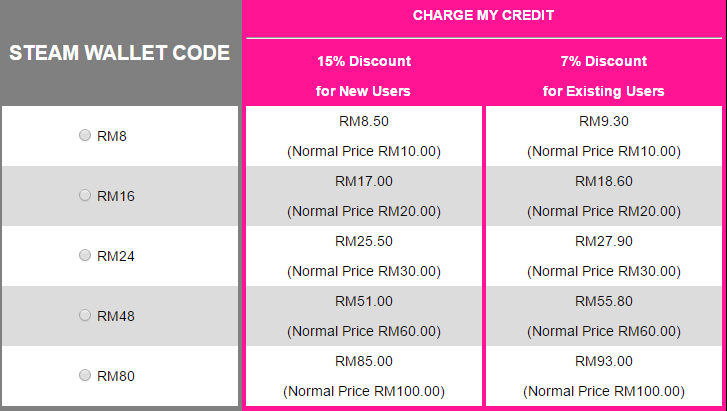 After the original discount is claimed, Hotlink customers are provided with a 7-percent discount. 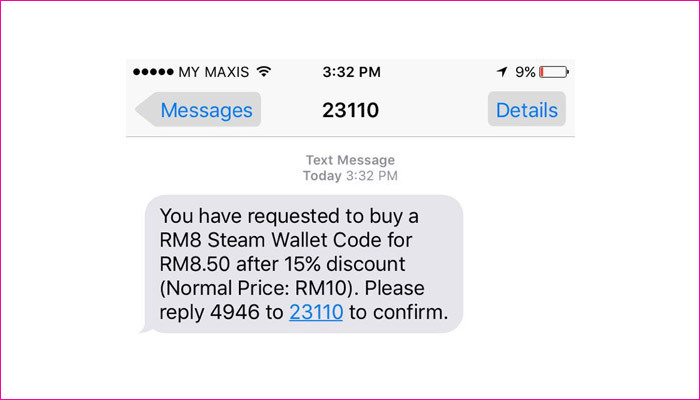 It should be noted that this new method of buying Steam Wallet codes is somewhat cheaper than using Hotlink top up tickets. These codes are usually subject to a 20-percent extra charge from the vendor, which makes the conversion a little less attractive than simply using a credit card. Hit the link for more information and to give the offer a go.